.....A sip of reality at the Quant um Café.. In physics the word 'theory' has a special meaning. Surprisingly, it has a life cycle. An idea or proposal submitted in scientific community based on findings mathematically proved or experimentally conformed in lab. In Astronomy its mainly observations. A theory is proved when scientific community accepts it officially. A theory survives until it is proven wrong by someone sometime. It essentially predicts the outcomes precisely. If a theory cannot be proved in lab & confirmed, it should not be called theory in first place itself, it falls under the realms of philosophy or metaphysics or whatever you may like to put it in. Our journey for the quest for understanding of the working of our universe has taken us from billiard balls to spaghetti. Read on to know what this implies. In 1665, not long back, once Isaac Newton was sitting under a tree and an apple fell on his head, this made him wonder about the gravity and lead to whole new understanding – this story is so wonderful that I choose to rejoice in the assumption of this being true, although this may be just a fancy story. Gravity was first force to be understood scientifically, He suggested the force making apple fall to ground & the force which keeps planets round the sun are the one and the same. The force of gravity is directly proportional to the product of the masses of two bodies & inversely proportional to the square of the distances between them, irregular bodies are reduced to point masses by the concept of center of gravity. His equations made pretty accurate predictions enough to drive spaceships to moon & put a man there. But, Newton never knew how gravity actually worked. 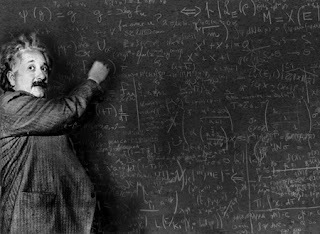 Einstein was working as a patent office clerk, & working on light, Yes, he was not in the physics community at all. He discovered that the speed of light is like a cosmic speed limit. Light travelling at 3,00,000 km/sec is the maximum you can get in the universe. Exceeding this limit would mean theoretically you need infinite mass. This implies you need to build a spaceship so massive essentially containing all the mass of the universe to propel it greater than the speed of light, which is obviously impossible. The light rays from Sun take about 8 minutes to travel 93 million miles to reach us. This implies if someone switches off sun like an electric bulb, it would take 8 minutes before we can see darkness here on earth. When light itself, travelling at such high velocity is not instantaneous, how can gravity act instantaneously on bodies? It was later proved that gravity acts at speed of light. Einstein continued his research & after 10 yrs came up with brilliant concept space time, i.e. three dimensions of space & one dimension of time constituted the space time fabric. This is like a stretched cloth, being warped, curved and twisted by the presence of heavy objects like planets and stars. This warping is what we feel as gravity. Gravity was a sort of unification of things happening on bodies like apples and bigger things like planets & galaxies. This startling discovery not only gave an explanation how gravity actually worked but also came as a blow in the face to Newton’s gravitation concept that gravity is instantaneous independent of distances. Gravity waves, waves if you would like to call them travel at speed of light. Gravity hence was a wave in the fabric of space time. If Einstein would not have come up with general relativity, no one else would ever have. Disclaimer : Well I have googled & found that the title "Strings are the new particles" is not used anywhere in internet ! Hence this makes me owner of the phrase.